Which Long Hairstyles with Bangs do You Like? Fringe just keeps cropping up everywhere in fact and look like they are here to stay for a while. Jennifer Love Hewitt recently added brow-skimming bangs to her signature long brown hairstyle and looked adorable in them paired with another trend, a flirty, full, feminine ponytail! Whether you choose to wear bangs or no bangs, here is a little tip to take note of; bangs create a younger-look for the majority of women! True! Bangs not only discretely hide any brow wrinkles, but they become a focus point and draw the eye to the upper part of the face, to the eyes and cheekbones. Jennifer’s heart-shaped face is perfect for this long hairstyle with bangs! Check out what bangs do for these stars! To get this look: This heavier bangs style is achieved by bringing forward more hair from the crown to cut. Tina Fey was on a tribute last night to the women of SNL and it brought to mind how cute she looked with her side swept bangs at this year’s Golden Globe Awards. Not that I didn’t like her grown out bangs at the SAG Awards. Tina has that coveted oval face shape and looks great either way. The long hairstyle with grown out bangs gives Tina a more sophisticated look and the long hairstyle with side-swept bangs is a younger, more playful look don’t you think? Which hairstyle do you like best on Tina? 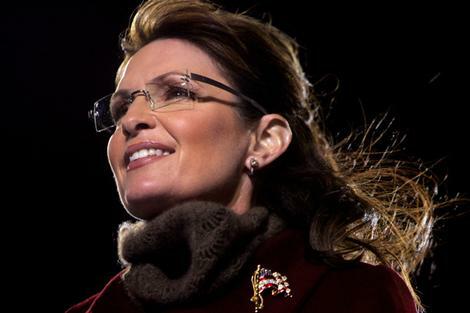 I found it nearly impossible to find a picture of Sarah Palin without bangs! If anybody knows of one please let us know. Sarah has a squared jaw line and can appear to have a square face shape and a bit oval depending what angle you catch her at. She looks best with a bit of volume on the crown which elongates her face shape. Sarah’s bangs are lighter and wispier than the full bangs we are seeing more of lately. Her squared jaw line would look more severe if she wore full, heavy bangs. To get this style of bangs, the hairdresser takes a smaller section from the crown and layers them. Which hairstyle looks better on Sarah? For more great longer looks and bangs styles check out our Pinterest Long Hairstyles and Beautiful Bangs Boards. November 3, 2012 By: Barb Quinn Hairstyle Blog Leave your comments (0), Your input matters.